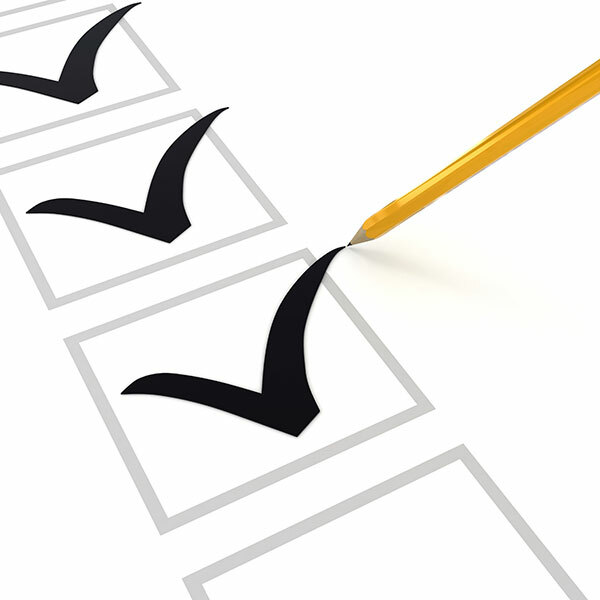 At Diamond Quality Services we strive for 100% satisfaction in everything we do. We value your opinion and invite you to tell us and others about your experience with us. Please take a few moments to tell us what you think by leaving us a review here on our website or on any of these popular review sites or social networks. Our AC unit stopped cooling with the outside temperature at 108 (89 inside) on a Thursday evening. After leaving messages and talking to seven or eight different companies on Friday morning the best response I got was "we can have someone out in 3 days." Until Scott called back within about 20 minutes and said he could have someone out by 5 pm that day. The tech called me just before three and said he could get there earlier than scheduled and got here about 3:30. Within 15 minutes he had diagnosed the problem, checked out my system and had it repaired and running without any type of "upsell". I have used some other companies in the past but Diamond will be our AC repair company from now on. I give them a 10 out of 10. Diamond is Gold. This is the second time I have had the pleasure of doing business with Scott Peterson and Diamond Quality Services. The first time was 7 years ago and when I needed a/c service again, it was a no brainer. 7 years ago, I was told I would needed a whole new unit by one company. Scott replaced the a/c motor on the inside and it has worked like a champ sknce. This go 'round a capacitor burned out. Thing is, it was a jump start capacitor that the previous home owner bought. He fixed the wires that burned, reconnecting them and told me the capacitor I had was fine. He did not try to sell me something I did not need. Thank you again Scott for your honesty and integrity. May God bless your business to grow beyond measure! We've been in our home for over 30 years and have hired several contractors for various jobs--a few pretty good, most not so good (this was before we hooked up with Angie's List). We were fortunate to have met Scott a few years back when another company treated us very badly. He went above and beyond for us in making sure that our old A/C unit was operating properly, in an attempt to make it last as long as possible. So when it was time for a new unit, we knew whom to call. We can't say enough about the integrity and professionalism of Scott and his crew. You know how you need a good plumber, a good roofer, a good lawyer, etc? 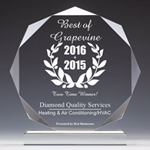 Well, if you need the best HVAC people in town, call Scott at Diamond Quality Service. If I could rate a 10 I would!! They are that awesome! We were having problems with our air conditioner leaking both inside and out. Scott came out and assessed the problem, fixed all the issues and also fixed the stain left on the ceiling. He went above and beyond and was friendly and courteous. His professionalism and knowledge is top notch. I would definitely recommend him and his company. As an attorney and someone not necessarily easy to please, I have been with Diamond Quality Services for several years now and I am consistently impressed with their service quality and integrity. Scott and the team are excellent in all respects and a Bryant zoned system (Bryant Evolution Variable and 2 Stage Furnace) with motorized dampers has been awesome. We replaced two old units that were not holding freon, running constantly and leaving hot spots, especially in the game room over our garage. The zoned system has changed all of that and now we can control not only the temperature in separate areas of the house but also the overall relative humidity. Night and day in terms of comfort and the wireless thermostat with smart phone control from anywhere is really nice - and I would not have installed a zoned system without using Scott and his team at Diamond Quality Services. Highly recommended. Cale was sent to our house to work on our heater! He arrived early, was very professional and did a fantastic job!! Great company with great service!!! We heard about Diamond Quality Services through Angieâ€™s list. The first time they came out we asked them to clean our air ducts. We also asked Scott, one of the owners of the company, about the air conditioning system in our 15 year old home. One unit was leaking Freon every year and hadnâ€™t adequately cooled our upstairs since we moved in. We had three units and knew we would need new air soon. Scott told us about a new system that would replace two of ours and work much better. We waited a year longer and had this company replace our two units with one. Scott and his team are very knowledgeable, courteous and dependable. The job was done carefully with no mess and great follow-up. I couldnâ€™t believe the difference this system made in the comfort of our home. The upstairs is now well cooled and we can change settings from our cell phones. Most of all, I want to emphasize how wonderful this company is to work with. Rita who answers the phone, Scott and his whole team are so kind, prompt, show up when they say they will and do a tremendous job. Oh, and did I mention the improvement in our electric bills!!! Diamond Quality Service is the best! At one time I had one of the monthly contracts with a heating and cooling company. A friend of mine and Angie's list recommended Diamond. Im happy I dumped my overpriced co. and switched to Diamond. They have great personal customer service and are trust worthy. I learned a hard lesson a few years back about duct cleaning and how important it is for the health of our customers. I will never use any other company, and I highly recommend Diamond to all who need assistance. Simply the best vendor I work with. Scott is wonderful and attentive; he doesn’t oversell or try to price gouge. I agree with the others who have left reviews; call them if you need service. We have used them both professionally and at our home. Lovely employees, hard workers with attention to detail. Every time they are spot on & we will recommend to anyone we cross paths with who needs their services! Thanks! After calling around to multiple companies on a Friday afternoon, we could not find anyone to come out for almost a week–not an option when the air is out during 100 degree weather! The owner answered the phone himself and came out at 7p on a Friday night, easily found the problem, which was a faulty thermostat, fixed it and didn’t even charge for the service! Wow! Were we ever impressed! Thank you so much for fitting us into your busy schedule this last week. I was truly suffering in the heat, and I appreciated how quickly and kindly you sent someone out to figure out what was wrong and work towards a solution. The portable A/C that Scott brought over was quite the life saver and made an already difficult weekend survivable. I was so happy to have him come by and double check the unit himself as well as discuss all of our options. Having the A/C go out, knowing that you will have to replace the entire unit, is a very stressful situation, but not once did I feel stressed or confused on what to do. Scott presented our choices in a clear, concise fashion. His experience and opinions made it easy to decide which unit to go with, and even as we made that decision, I never once felt stressed or worried that we might make the wrong choice. There is such value in finding a company that you know you can trust. It really says something that in the worst of situations, 105 degree heat and a big financial cost right around the corner, we were able to laugh about the situation and felt not only happy to see Scott, but comfortable knowing that we were in good hands. Overall excellent job. The crew did a complete review of the job, finding a main duct UNSEALED in the attic on the output side of my furnace. Hot air from the attic was getting in with dirt and the pictures confirmed Mold growth in my ducts causing the smell I called them about. They did an excellent job cleaning all the ducts, cleaning the furnace, replacing the filter, and spraying the system with mold killer. My home is much cooler and drier, the smell is gone as are my allergies! I wish I would have called them years ago for both my health and utility bills sake. They’ve now cleaned 2 homes on referral for friends! I chose Diamond to replace a duct and seal the equipment compartment base largely on the reviews I read here and what I found was the reviewer who praised Diamond’s conscientiousness and thoroughness was spot on. They clearly know more about air conditioning than most A/C installers and their work exceeded my expectations. The only reason I don’t give them 5 stars is because after the initial visit to determine my needs they kind of dropped the communication ball. It took 3 weeks to make contact again but they made it right and I believe them that it was a cell phone issue and being too popular that caused the problem. Extremely professional, great follow up and communication, courteous, punctual, reliable, thorough, and easy to work with. Would use this company again and recommend them to a friend. Scott Peterson was the most impressive of all the representatives from the companies that we interviewed for bids. He went above and beyond his job by informing us of the manufacturer’s instructions for our units as well as providing us with copies of the instructions so that we would know in the future what was necessary for the maintenance of the units. I have and will continue to recommend Diamond to anyone that inquires about a professional A/C & Heating and Duct Service, that they can TRUST. The extra money I spent on these guys, was money well spent. They know their business and are good at it. Some of the extra money went into the superior products they used for the job. The follow up visit took some time to get scheduled, but again it was well worth it. They were very prompt, very friendly, and very informative. Scott was very professional and knowledgeable. We asked him to come to clean our air ducts, however, he was honest enough to tell us we didn’t need them cleaned. He did seal up some of the ducts in the attic to make our system more efficient. We are quite pleased with his work and would definitely have Diamond do more work for us if the need arises. Prompt, polite, clean, informative and professional. A pleasurable experience. It was excellent. I was impressed with the great customer service and personalized attention. There are plenty of companies that could learn a lot from Diamond. The follow up, the professionalism, the attention to detail and the added value. I am really glad I used this company to take care of my home. Never met them but my daughter and husband did...They were very professional and answered all questions we were concerned about...They came early and stayed late until the job was done...We had a very bad case of mold and fungi and not only did they clean our unit but helped resolve the issue that we believe caused it...Everything looked nice and clean! I will have them back for regular cleanings of our ducts. Very friendly, excellent service!! He was right on time and was exceptionally helpful. I couldn’t have asked for better service. A very fair price for the quality of service! Scott and Don were on time, professional and did what they said they would do for the estimated costs. They also told me about the things that we did not need to have done, and corrected problems that had gone un-remedied by our other AC contractors. I would highly recommend them. Of the various people I spoke to, Diamond was the most knowledgeable. I felt like they really took the job seriously and didn’t just say, "Yes we clean ducts" like some others. They were more expensive than others but I chose them for their knowledge and professionalism. They also said that they could do some duct sealing which would prevent the need to clean the ducts again, so it makes sense to pay a bit more now and not have to spend again later. Scott [was] wonderful and did a fabulous job. I was able to leave and run errands while they completed the job, which I really appreciated! We have already noticed a HUGE improvement in the airflow in our house and can’t believe we waited so long to do it!! Thank you Scott!! We are thoroughly satisfied!!! Very punctial and professional. Honest and goes the extra mile to make sure you understand if there are any issues that he doesn’t offer in his services to fix, and even tips on how to fix it yourself. TOP NOTCH and would recomend to ANYONE!!!!! Scott’s associate gave me the estimate and actually did the job. He was very pleasant, informative - seemed to know what he was talking about and didn’t 'hard sell' me. He was very neat - even took his shoes off each time he came in the house. We hope that this fixed the problem, time will tell. There’s a possibility more will need to be done - I will certainly use them if that is the case. Also their price was very reasonable. Nice experience. Both guys worked very hard and non stop. So far so good. No problems with my house so they didn’t charge me, great reliable service provider. Would use them on my next house. He tested the system before determining if there was a need for the service. He had a better price than the others, and was very professional. Scott was able to come by earlier than we originally scheduled which was great! He did an excellent job of explaining the process while they were cleaning and offering helpful tips to keep the system working like it should for a long time to come. I really appreciate the time Diamond spent to make sure my experience was what it should be, and I would highly recommend them to friends, family, or anyone who might need their services. This company was very professional and did not try to sell anything we didn’t need. They were prompt, courteous and polite.